The annual event raises money for the Western Washington County Firefighter's Association. A shell-cracking, lip-smacking tradition will make its return next Saturday, Jan. 19, at Cornelius Elementary School. The Western Washington County Firefighter's Association is holding its annual Crab and Steak Feed from 4 to 8 p.m. in the Cornelius Elementary cafeteria. The event is a fundraiser for the association, which counts Forest Grove and Cornelius firefighters among its membership. "It's a big community thing," said organizer Kevin Ritcheson, a Cornelius firefighter. "This is our 23rd year that we've been doing this." The dinner can bring as many as 800 people to the table over the course of four hours for all-you-can-eat crab, 16-ounce steaks and side dishes, as well as hot dog meals for children, Ritcheson said. 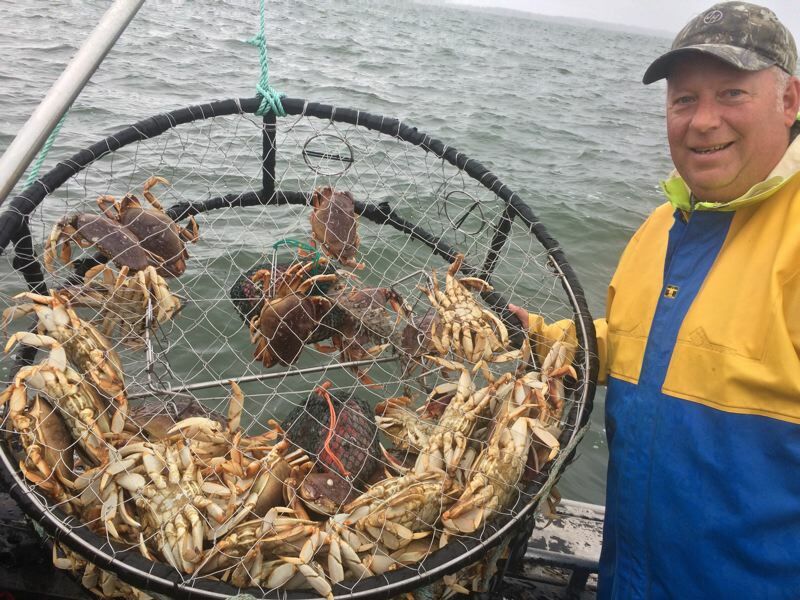 Attendance was down to closer to 550 at last year's feed, he noted, but that was more than organizers had feared after a late-opening crab season caused it to be postponed twice. This year, no delays are anticipated. "They've already got pots in the water," Ritcheson reported. "We shouldn't have an issue with crab this year." That's a good thing, too, because the Crab and Steak Feed is nothing without crab. "It's really all about the crab," said Ritcheson, who described the all-you-can-eat delicacy: "It's prepared on the coast. ... We usually get it Friday night, so it's super-fresh." Sides include clam chowder, green salad and dinner rolls. Particularly hungry attendees can even pay a bit extra to enjoy both crab and steak. The Western Washington County Firefighter's Association might be best known in the community for putting on the annual Independence Day fireworks show at Tom McCall Upper Elementary School in Forest Grove. In addition to that tradition, the association has also supported Forest Grove Little League, purchased automated external defibrillators (AEDs) for Washington County sheriff's deputies to carry in their vehicles, and funded high school senior projects, among other causes. The association also regularly contributes to help individuals and families displaced by fire, paying for hotel rooms, meals and other forms of assistance, Ritcheson said. The Crab and Steak Feed is one of the association's biggest annual events and serves as a major fundraiser for the group. "We try to give all of that (money) back to the community as best we can," Ritcheson said. Tickets for the Crab and Steak Feed are available at the Cornelius Fire Department's station at 1311 N. Barlow St., as well as on the event website. Tickets are $30 for adults, $26 for senior citizens and $15 for children for either a crab or steak meal. Hot dog meals for children are $5, while combo crab and steak meals are $40. Wednesday, Jan. 16, is the last day to purchase tickets. Because the amount of food prepared will depend on the number of tickets sold, tickets are not available at the door. Editor's note: This story has been updated to note that ticket sales continue only through next Wednesday, Jan. 16.